Trinity Christian School is governed by an independent, self-perpetuating Board of Trustees. Trinity has been blessed throughout its history with trustees who are well-qualified both professionally and spiritually to provide leadership as the school has grown. Mr. Moss is Vice President and Controller for General Dynamics Corporation. He teaches Sunday school at Expectation Church. He has one child currently attending Trinity and three graduates. Mr. Whitaker and his wife, Kristen, have five children: one in the Lower School, two in the Upper School, and two Trinity graduates. The Whitakers have attended McLean Bible Church since relocating to Northern Virginia in 2005. Mr. Whitaker is a corporate and finance partner at DLA Piper LLP (US), where he regularly represents domestic and international professional sports franchises as well as lenders in financings involving sports properties. He has previously served on the Board of Trustees as Chairman and Treasurer. Mr. Lee and his wife, Beth, have two children in Trinity's Upper School, and three Trinity graduates. The Lees are members of The Kings Chapel in Clifton, Virginia. Alan is a partner at PwC and also serves on the Board of Trustees for John Brown University. A graduate of Harvard Law School, Mrs. Colby is Director of the Christian Legal Society’s Center for Law and Religious Freedom. She has represented religious student groups in two cases heard by the United States Supreme Court and has testified at hearings regarding religious liberty before the United States House Judiciary Committee’s Subcommittee on the Constitution and Civil Justice and the United States Commission on Civil Rights. Mrs. Colby graduated from the University of Illinois with a B.A. in American History. She and her husband are the parents of two adult sons who attended Trinity. Since the Allen family arrived at Trinity in 2015, Shannon has been an active volunteer at the school, a committed member of the Moms-in-Prayer ministry, and an avid TCS sports fan. She is also a member of the Board of Directors at the Lamb Center, a daytime counseling center for the poor and homeless in Fairfax. In addition to her role on the Board at the Lamb Center, Shannon is also the coordinator of the weekly chapel services and is the “Tuesday front desk lady.” Shannon has been a Bible study teacher, fellowship group leader, and active lay leader throughout her adult life since graduating from Princeton Theological Seminary. She and her husband Marc are raising four TCS children in Fairfax, VA after calling Beijing, China, and Seattle, WA home as well. When not chauffeuring kids across the DMV region, she enjoys coaching soccer and playing the drums. Shannon and her family worship at Alexandria Presbyterian Church. Dr. Bunn-Livingstone is Senior Managing Partner of Jus Cogens Law, an international law firm based in Washington, D.C. and Geneva, Switzerland. She has practiced law for more than 25 years on four continents and is a former U.S. State Department Diplomat who holds a Ph.D. in Law from Cambridge University (where she taught for both the Law and International Relations Faculties for a decade), J.D. from Pepperdine Law, and B.A. from Wheaton College. She and her husband David attend McLean Bible Church and have a son who attends Trinity. Alvin and his wife, Christine, have six children currently enrolled at Trinity. Rev. Chun is the Senior Pastor of NewSong Church in Vienna, Virginia which he planted in 2001. He is also President and owner of Counterpointe Solutions Inc., which he founded in 2005. Mr. Chun serves on the Board of Directors for two other Non-Government Organizations that reach children-at-risk globally. Mrs. Dickens and her husband, Scott, have two children in the Upper School at Trinity. Mrs. Dickens has served as an active volunteer at Trinity since 2007. She has a communications and public relations background and attended Virginia Tech where she served as a Young Life leader. Her family attends Burke United Methodist Church. Mr. Gilchrist and his wife, Blair, have been Trinity parents since 2003. They have two sons, one in the Upper School and one a recent TCS Graduate. The Gilchrists are long-time members at McLean Presbyterian Church. Mr. Gilchrist is a consultant with Red Rock Business Advisors where he provides financial and accounting expertise to various clients and is the acting Chief Financial Officer for multiple companies in the Washington, D.C. area. Gret Glyer is the CEO of DonorSee, the platform that lets you help people in seconds and then proves it with personal video updates. From 2013 to 2016, Gret lived with the world's poorest people in Malawi, Africa where he built more than 100 houses for the homeless and famously crowdfunded $100,000 to build a girls' school in rural Malawi. Gret has been featured in USA Today, National Review, HuffPost, Acton Institute, and is a TEDx Speaker. He is the host of The Gret Glyer Podcast and gives regular talks on charity, poverty, and perspective. 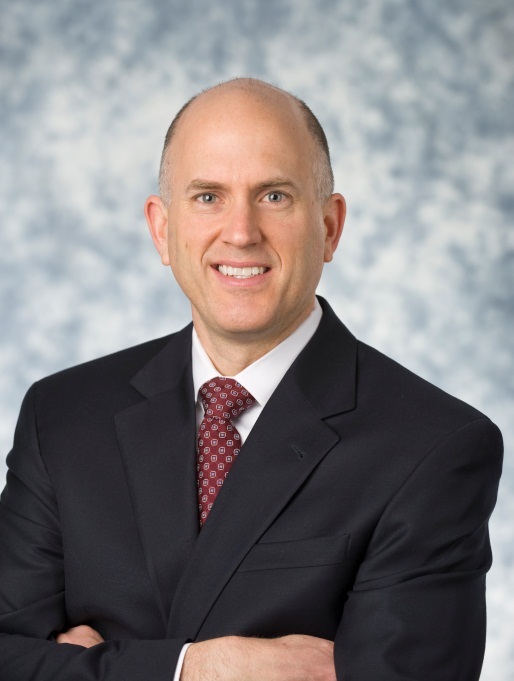 Mr. Hardesty is Corporate Vice President and Controller of Northrop Grumman Corporation. He attends McLean Bible Church and has three children, all of whom attend Trinity. Kyu Jung and his wife Jennifer, along with their three children, live in Vienna, Virginia. They attend McLean Bible Church. They are pleased to enroll all three children at Trinity Christian School. Kyu is President of Procon Consulting LLC and Vice President of MK Development LLC. Mr. Mathewson is President of Small Enterprise Assistance Funds (SEAF) based in Washington, D.C., a global emerging market private equity investment firm. David and his wife Laurie have four children including one child in the Upper School and two recent graduates who are attending Texas A&M and Baylor University. The family has attended McLean Bible Church since moving to the area in 2009. David and his wife, Stephanie, have two children in Trinity's Lower School, three in Upper School, and a 2016 graduate attending Liberty University. The Meekers have been a Trinity family since 2011, and have attended McLean Bible Church since 1999. David is a Senior Analyst with SAIC, and also volunteers as a Technical Director with Pied Piper Children's Theatre in Manassas. Mr. Moreland and his wife, Courtney, have two boys, the oldest of whom is in the Upper School at Trinity. The Morelands attend The Falls Church Anglican Church and have been part of the Trinity family for five years. Mr. Moreland is currently a Director at Consilio, where he sells eDiscovery and litigation support services to law firms and corporations throughout the Mid-Atlantic region. Mr. Renenger is a partner in the Washington, D.C. office of Milbank, Tweed, Hadley & McCloy and a member of the firm’s Litigation & Arbitration Group. He attends Alexandria Presbyterian Church with his wife, Christina. Aaron and Christina have three children who attend Trinity. 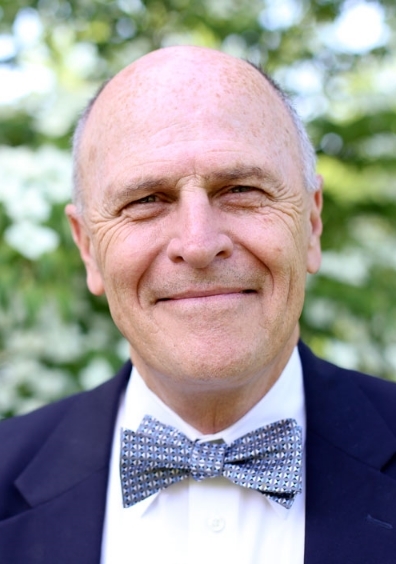 Dr. Vanderpoel is Headmaster and CEO of Trinity Christian School and holds a B.A. in history from Wheaton College, an M.A. in European history from Adelphi University, an M.A.R. in theological studies from Westminster Seminary, and a Ph.D. in the history of early modern Europe from New York University. Immediately prior to his service at Trinity, he held the position of Executive Vice President and Chief Operating Officer of American Medical Diagnostics Incorporated. From 1997 to 2001, Dr. Vanderpoel was employed by PricewaterhouseCoopers as the National Human Resources Leader for insurance services. He served from 1984 to 1996 in the pastoral ministry as Senior Pastor of the New Hyde Park Baptist Church in Long Island, New York. Dr. Vanderpoel has been an adjunct faculty member of Adelphi University and Patrick Henry College. The Vanderpoels have three sons who are Trinity graduates. Mr. Veldman is an attorney at Leidos specializing in corporate governance, securities, mergers and acquisitions, and corporate finance. He was previously a partner at the law firm of K&L Gates LLP. Ray and his wife, Heidi, have two daughters that are recent graduates of Trinity, both of whom are currently attending the University of Virginia. The Veldmans are members at Fourth Presbyterian Church in Bethesda, Maryland.